You can easily export your Mac File(.olm) to Multiple file formats such as EML, PST & MSG with all of metadata and attachments. It provides you the functionality to export PST file directly to Microsoft Outlook. You can easily divide the resultant Large PST file into multiple small PST files. You can provide the desired size to PST file .By doing so, you can manage the PST file effectively and chances of corruption of PST file diminished. Because large PST file are more vulnerable to Corruption. Small PST file are easy to share in comparison to large PST files on network. OLM to PST Converter preserves the folder hierarchy of OLM file Emails. You have the same number of folders in PST file when converting OLM file to PST and same tree like structure. Demo version of OLM to PST Converter allows to Export only 25 item per folder in PST, EML & MSG. Support: Windows 8, Windows 8 & all below versions of Windows. Can I export Outlook Mac file(.OLM) to PST without Outlook? 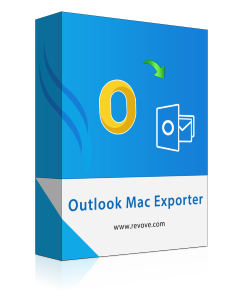 Yes, You can easily export Outlook Mac file to PST without any installation of Outlook. What is the file size limitation of OLM file for migration? Can I use OLM to PST Converter on MAC Machine also? No, You cannot use OLM to PST Converter on Mac Machine. OLM to PST Conversion tool is totally Window based application software and works only on Windows Operating System.